Library Chronicles: Well if it gets the Saints a road playoff win..
Well if it gets the Saints a road playoff win..
We're willing to try anything. Dozens of tourists in St. Louis Cemetery No. 1 gathered around the tomb of Marie Laveau Sunday (Dec. 29) as tour guide Renee Dodge explained the mysterious history of the famed Voodoo queen. But most of the tourists had one question on their minds: Why was the tomb painted bright pink? Two weeks ago, in the middle of the night, someone sneaked into the cemetery and painted the tomb, Dodge said, but she didn't think the person had any malicious intent. "The person really came in to paint over the thousands of thousands of "X"'s all over this tomb," she said. "And that's the real desecration." Decades ago, someone started a rumor that if people wanted Laveau to grant them a wish, they had to draw an "X" on the tomb, turn around three times, knock on the tomb, yell out their wish, and if it was granted, come back, circle their "X," and leave Laveau an offering, Dodge said. In lieu of desecrating Laveau's tomb, pilgrims are encouraged to visit grave site of Al Copleand. The ritual works like this. The petitioner will his request of Al and then string a set of Christmas lights on the tomb. Next, the petitioner will go out for a steak dinner and punch the nearest political operator three times in the head. Return to the tomb one week later. If the wish has been granted, the lights can be plugged in. If the wish is refused, try coming back in the spring with a helicopter full of rose petals. As for the Saints, they're pulling out all the stops. This includes making their own appeal to St. Al among other mysteries. 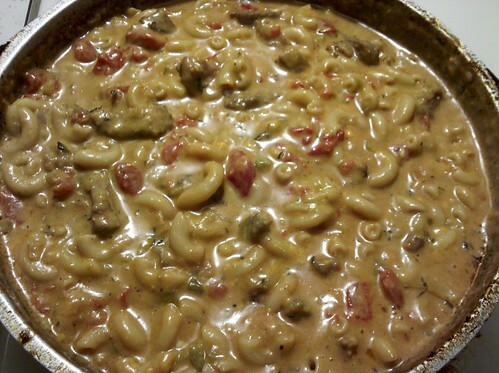 That beefy mac recipe is nothing to be trifled with. 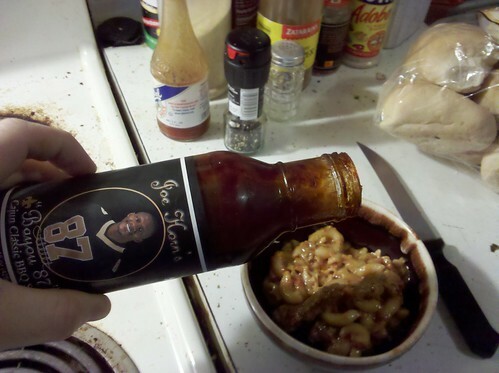 We tried fiddling with beefy mac back during the 2011 Saints-Rams game. Looked okay at first. But as that game went on, the rich creamy cheesy buttery glop began to unsettle our stomachs, not unlike the Saints' performance that day. By the end, we were resorting to all sorts of crazy remedies. Yeah that didn't work either. But maybe the pink paint will.